Work in partnership with the community to improve the quality of life by reducing the fear and occurrences of crime by enforcing the laws of the Land. Provide D.A.R.E. drug abuse resistance education program. Provide TRIAD program for elderly citizens in the County. Assist with neighborhood watch programs. 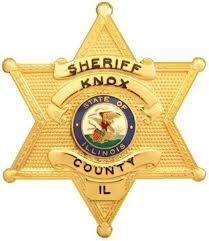 Maintain and operate the Knox County Courthouse and Knox County Law Enforcement Center. Information can be obtained in person, by mail, or by telephone. The Administrative office phone number is 309-345-3733. Requests by mail should be sent to 152 S. Kellogg St., Galesburg, IL 61401. Please visit www.knoxcountysheriffil.com for more information.